PESYNC is a six letter acronym short for People Excellence Solving Your Needs Collaboratively. In 2007, People Excellence (PESYNC) began in Saudi Arabia as a human resources consulting, assisting small and medium-sized businesses with practical human resources solutions and products. Today, PESYNC provides human resources products around the world to support talent development and retention strategies. Our tools and methodologies are state of the art, and applied to a spectrum of organizations. We are passionate about the way value should be added. People are the most important resource any organization can acquire; by optimizing people contribution in an enabling environment, huge returns can be delivered. We focus on the stakeholders, understand their expectations and meet their needs both rapidly and cost effectively. ​We are all highly qualified, have worked together as a team and combine regional plus international experience to support you drive the performance of your people and business. Pesync has a team of experienced consultants from the MENA region and Asia. 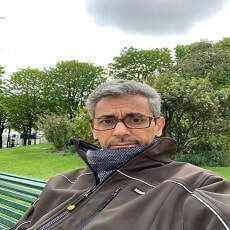 ​Mansour Bakr, PHRi, SHRM-CP spent over 20 years working for various local and international companies in human resources and quality assurance. Mansour woke up one morning and embarked on a venture to start a human resources consulting helping small and medium-sized businesses with their human resources needs at an affordable price. It turned out to be a good idea. Mansour grew up in Southern California, holds various degrees and is a Certified Professional by the Society for Human Resources Management (SHRM) and is a Professional in Human Resources - International from the HR Certification Institute (HRCI). Mansour enjoys traveling around the world and likes to get lost and eventually find his way back. We design and deliver a full range of practical human resources solutions to complex business challenges.